After having known each other for 3 years, crown prince Philippe of Belgium and Mathilde d'Udekem d'Acoz got (privately) engaged. 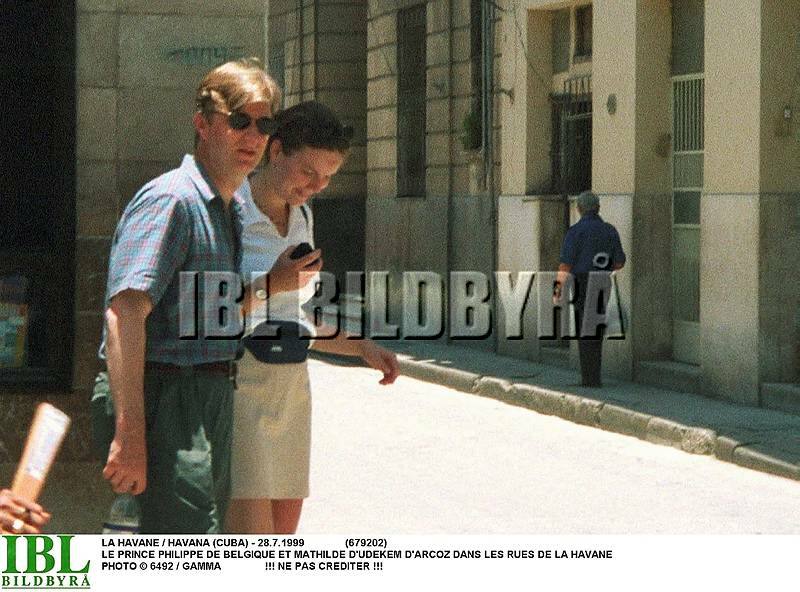 The engagement became public when the press got hold of it, and the official anouncement was made on the same day: Friday the 10th of September 1999. 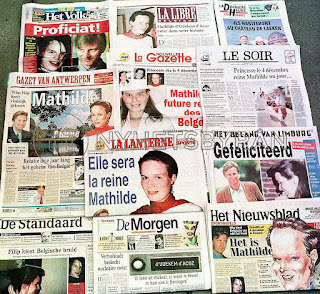 Mathilde was a complete stranger to the press and the country, Saturday newspapers had only been able to get hold of a few blurry pictures of the woman in question. 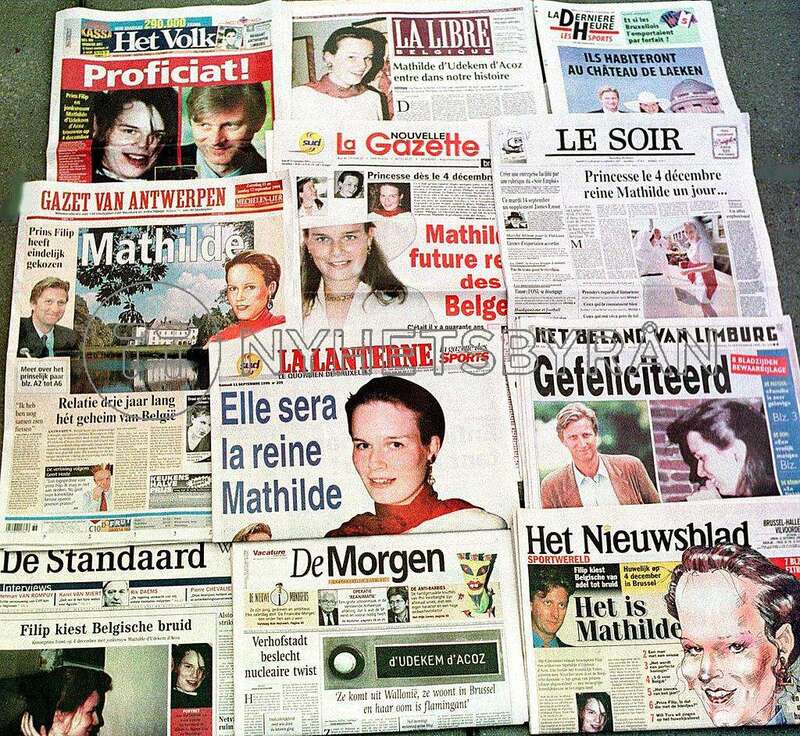 A few days later a man sold this picture to Belgian newspaper Het Laatste Nieuws. 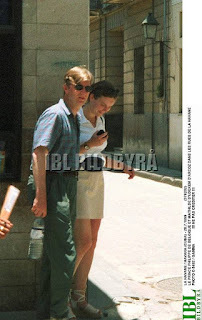 It was taken a few weeks earlier on Cuba, where the Belgian tourist had recognized the prince and an unknown young lady. 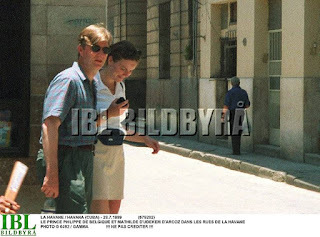 Philippe had approached him and asked him not to share the photos, which he did, untill the engagement was anounced.